October 12 is a liturgical memorial of Blessed Father Jan Beyzym. The year 2012 was a very special year - the 100th anniversary of his Passover (2.10.1912). 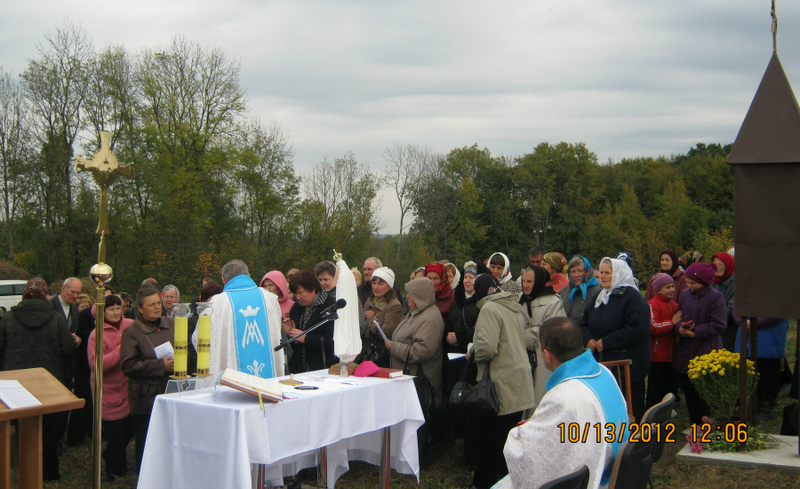 Our Parish in Grechany, Khmelnitsky, Ukraine had an exceptional reason for pride and joy as our House for the Pastoral Service and Retreats, built 9 years ago (and may be the first in the Church bears the name of Blessed Father Jan Beyzym) was consecrated on October 12, 2009, the day of his memorial. The corner stone for the House was blessed by John Paul II on August 18, 2002 on Cracow Blonia during Father Beyzym’s beatification mass. The year 2012 was rich in jubilees, minor and major, but all of them gave us the opportunity to thank Our Lord for the gift of the faith and love testimony left by Father Beyzym for us. All the jubilees were celebrated during the Holy mass on October 12, 2012. 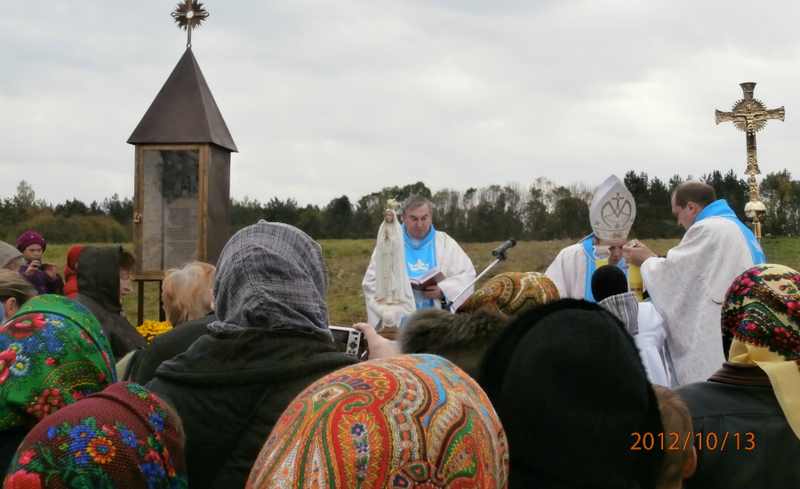 Bishop Leon Dubrawski, the Ordinary of Kamianets-Podilsky Diocese, celebrated the Eucharist along with the great number of priests, numerous guests and parishioners. In his sermon the Bishop preached about the testimony of love given by Father Beyzym on Madagascar, where he carried out the Samaritan mission with regard to the lepers. 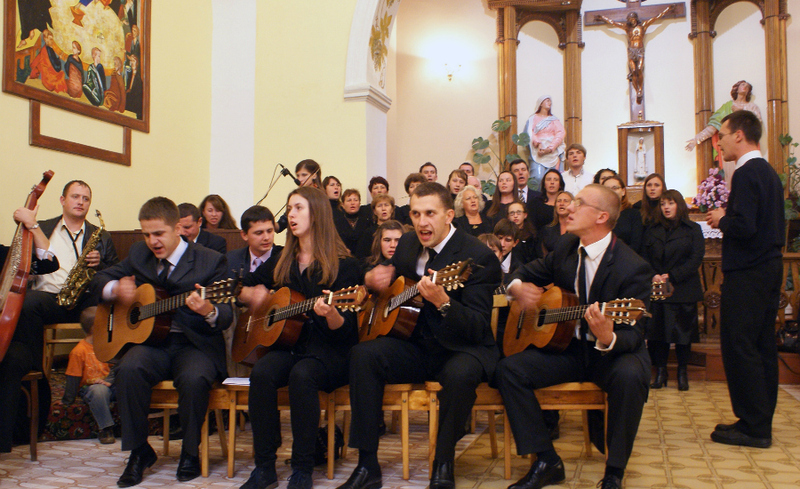 After the Holy Communion the group of thirty brothers from the Neocatechumenal communities performed the fragment of Kiko Arguello’s Symphony “The Suffering of the Innocents”. The final part of this majestic symphony is: Resurexit, Gloria and Alleluia. God responds to the suffering, concentrated ante omnia in the Servant of Yahweh and the Suffering Virgin Mary, the suffering that is present in every generation in the history of the mankind by the song of joy - the messenger of Good Tidings, the messenger of victory over the suffering and death: Christ has risen. Although the singers were not professionals, the public liked their performance very much. The singing moved the audience to tears. Following the Holy service, the group of the parish children performed a sketch based on the book of the Polish writer Dorota Koziol “The Brother of Lepers”. The poetic story about Father Beyzym’s life and missionary activities performed by children, revealed the personality of our confrere, who gave his life for other people, withering away as grain in the soil and yielding the fruit. The agape completed and prolonged the joy of the celebration. But this is only the beginning. The next day, October 13, we (about 150 pilgrims in 3 buses) went to the village of Beyzymy - the place where Father Beyzym was born. 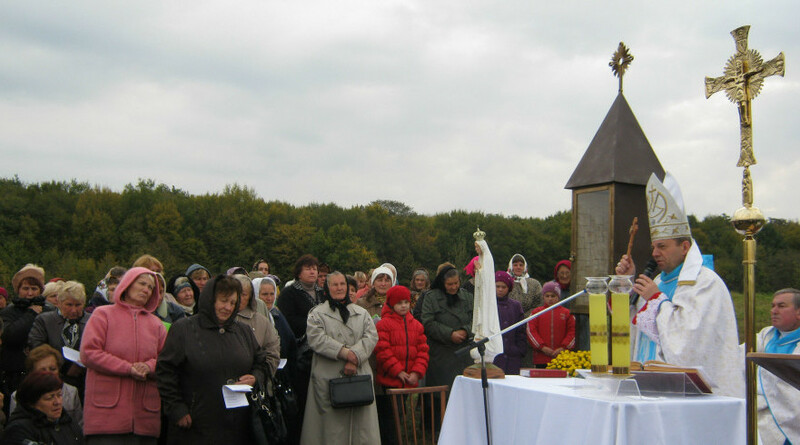 In Father Beyzym’s times the village was called Beyzymy Wielkie (Big Beyzymy) and belonged to Volyn (a province in the north-western Ukraine). The territory now belongs to Podillya (a historic region in Eastern Europe, located in the west-central and south-western parts of present-day Ukraine), as Khmelnytska oblast (province) belongs to the Podillya Region nowadays. The issue is conventional, though. Our men built a small chapel there in the summer. The photograph of Father Beyzym and the information about his life and activities in Polish and Ukrainian languages were placed inside the chapel. 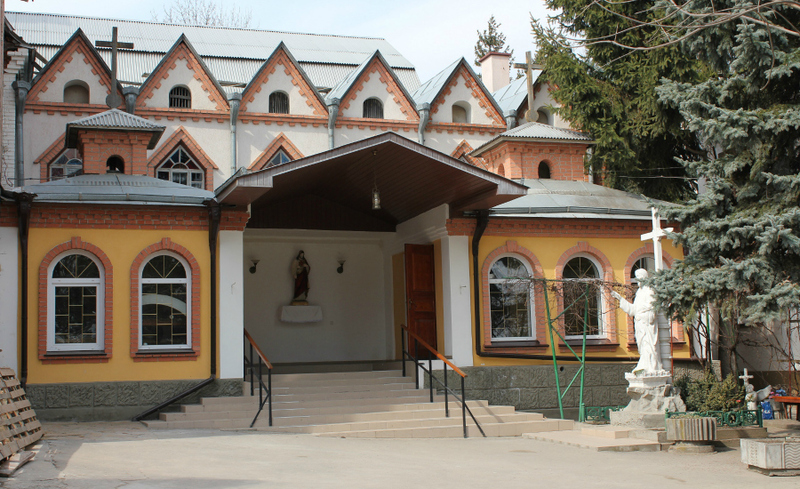 The chapel was brought to Beyzymy at the beginning of September and set up at the place of the family estate location. All the necessary construction materials were taken to the construction site: some sand, cement, wood boards, even water to dig the pit for supports, fill it with the concrete and set up the chapel. It is very likely that Father Beyzym’s family house was located there. Before installing the chapel, my confreres and I visited the village many times asking the inhabitants about the house location. There was no agreement of opinion among the village inhabitants. They pointed at different places. Anyway, the estate area is surrounded by forest and is about 20 hectares. At present it is divided into a number of a few are lots, where the village inhabitants grow their vegetables. The permission to set up the chapel on their lot, as it was the most probable location of the Beyzym’s manor, was given by one of the families. On verbal agreement (without any legal succession) we got from the owners the 7 are parcel. In accordance with the promise of the village council, we would also be able to get the 2 hectare parcel if the necessary documents were prepared and submitted. So, we left for Beyzymy on October 13 and it took us two hours to get there. The village of Beyzymy is located 90 km from Khmelnitsky. Bishop Leon Dubrawski accompanied us. About 20 local people took part in the Holy service except for our pilgrims. The local were invited by the village mayor on our behalf. It is worth mentioning that about 150 people live in the village of Beyzymy at present. The majority of the village inhabitants are the elderly. 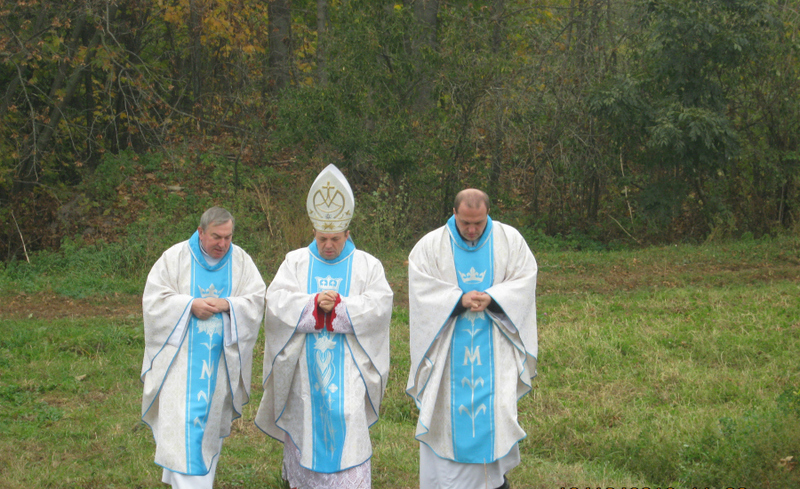 The solemn Eucharist was celebrated by the Bishop and co-celebrated by Father Vladimir, the Secretary for the Bishop and me, Father Henryk Dziadosz. After giving the sermon, Bishop Leon invited the gathered to join the communal prayer. To my surprise the local people (they are Orthodox) also joined the prayer. They could have been on the Catholic Eucharist for the first time! Prior to blessing, the Bishop consecrated the chapel and the faithful kissed the relics of Blessed Father Beyzym. 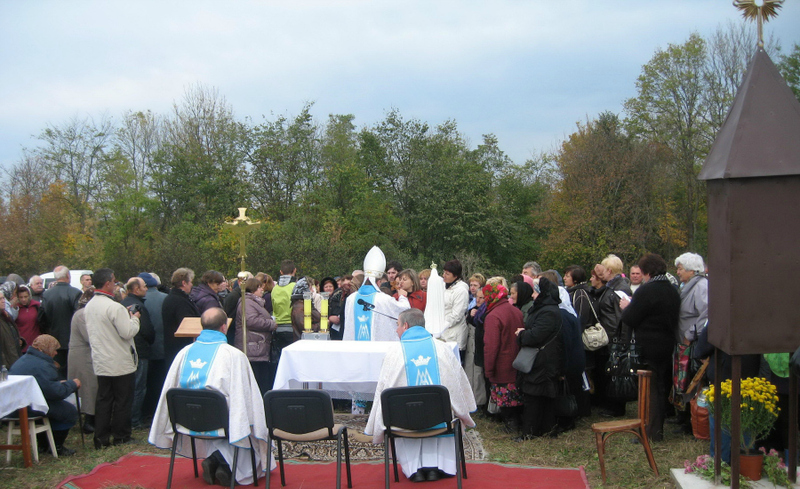 In her speech after the Mass the village mayor promised that the village council of Liszczany, to which the village of Beyzymy belongs, would do their best to mark the turn leading to the village of Beyzymy on the highway Kremenets - Berdychiv. The village is located 4 km from the main road. 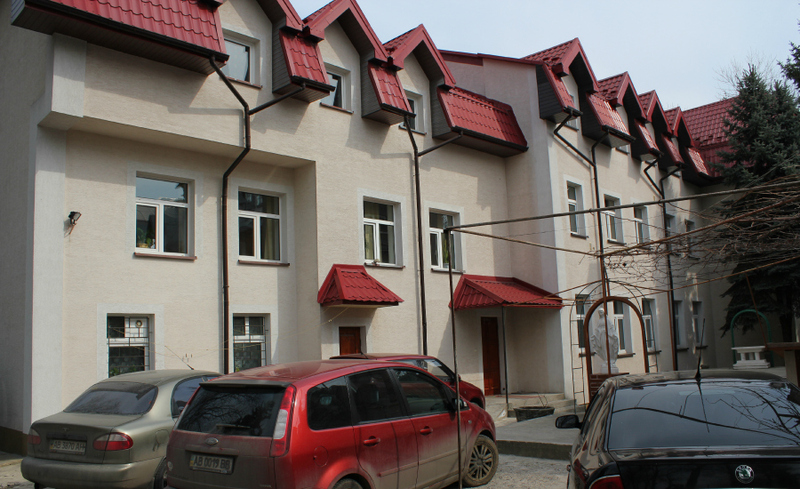 You need to turn right in the village of Liszczany going from the city of Kremenets in the direction of the city of Lubar to Berdychiv. We returned to Khmelnitsky in the evening overfilled with the gratitude for the gift of testimony Father Beyzym left us and for the possibility to visit the land, where our Blessed confrere was born and grew up. My name is Maria. Let me toll the everlasting Magnificat for the Gift of the Savior. The Martyrs of Podillya, who gave their lives in the times of the communist repressions, testify to Him. 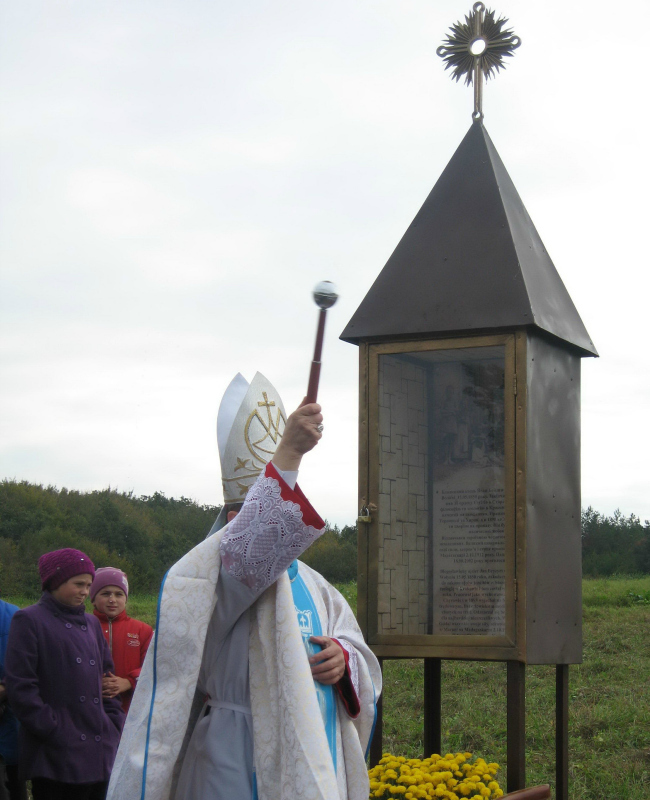 In the year of Our Lord 2012, when the Ordinary of Kamiatets-Podilsky Diocese was Bishop Leon Dubrawski. My name is Joseph. Let my toll be heard to all the families in Podillya, for them to accept the Good News about the Saint Family from Nazareth and desire to live like the Family did. St. Anne’s Parish 2012. My name is Jan Beyzym. Let me toll and tell the world that God is Love and Love is Service. From my native shore I appeal to every living person to follow Our Lord. On the 100th anniversary of departure to the Lord. St. Anne’s Parish, 2.10.2012. I would also like to express my heartfelt thanks to our Dear Benefactors, who support our missionary activities with their generous donations. 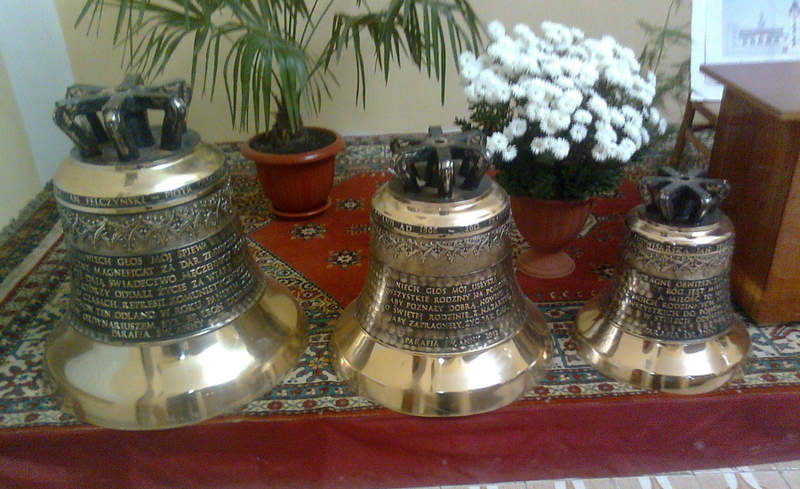 Thanks to Your donations, Our Dear Countrymen, Referat Misyjny for the Province of South Poland purchased three above mentioned tower bells: Maria, Joseph and Jan Beyzym for our church. The beautiful sound of their toll will chant the praises to Our Lord and call the faithful for prayer meetings, during which we will pray for those, owing to whose benevolence they were made. God bless you, our Dear Friends of Mission, for your gift, so important and necessary for us to preach the Gospels to our brothers and sisters here in Ukraine, to spread the cult of our Great Compatriot, the Son of this Land, who would plead on our behalf before the Divine Throne. God bless you and may Our Good God reward you amply.